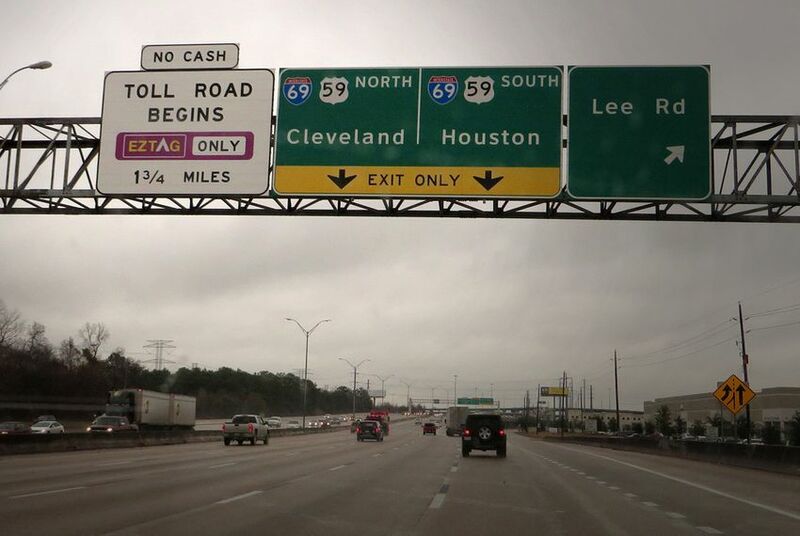 If Texas decided to pay off the construction debt for nearly all of its toll roads tomorrow, the price tag would be somewhere in the neighborhood of $30 billion — at least according to a preliminary report from the Texas Department of Transportation. TxDOT Executive Director James Bass and Texas Transportation Commission Chair Tryon Lewis discussed these findings during a House Transportation Committee hearing on Wednesday, focusing on the potential cost of eliminating toll roads across the state. The department is preparing a final report for the committee in September, as required by a law passed during last year's legislative session. The measure, authored by Rep. Joe Pickett, D-El Paso, asked the agency to review toll roads across the state and produce a plan detailing what the state would have to do to remove them. Despite his role in the legislation, Pickett said he is realistic about how to limit the reach of tolls. “I don’t see Texas just committing to paying off $50 billion in debts so that we can say we don’t have any tolls in Texas — that’s not feasible,” said Pickett, who chairs the transportation committee, on Wednesday afternoon. He said the state has "made headway" preventing "bad projects" from moving forward. While it is unlikely the state would attempt to eliminate all tolls in one fell swoop, Bass explained that the $30 billion price tag was a rough guess and that it would likely take "weeks and weeks" to produce a more accurate number. Bass said the state has 51 toll roads and bridges finished or under construction, which combined have more than $21 billion in outstanding debts — a number that would jump to $38 billion if the state opted to pay off the bond debt over several years. Both numbers increase with the addition of public-private toll roads. One toll project not included in the calculations is the privately operated toll road on the southern part of State Highway 130, run by the SH 130 Concession Company. In March, the company filed for bankruptcy less than four years after its section of the highway opened. While the department is required to produce a plan for completely removing tolls, Pickett said his emphasis was on explaining what eliminating these tolls would actually look like for Texas.